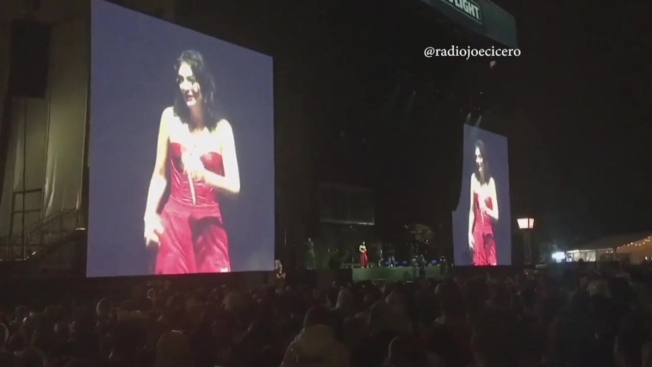 Members of headlining Lollapalooza acts Muse and Lorde were harmoniously “gutted” after severe weather forced Grant Park to be evacuated Thursday night. The Office of Emergency Management said Chicago police helped the drenched festival-goers to shelter sites along Michigan Avenue. Matt Bellamy, the lead vocalist of Muse, was equally distraught over the plug getting pulled. Liam Gallgher was “gutted,” too—although it wasn’t over the rain. Gallagher left the stage just four songs into what was supposed to be a one-hour set. The promoter behind the festival, however, was simply "dissapointed." "We are disappointed to have to end today's performances early, however our first priority is the safety of our fans, staff and artists," said Sandee Fenton, Director of Publicity for C3 Presents.